Last year's winner of the Ryanair has never gone onto improve that effort, and frankly been an outsider in most outings since. Was seventh when looking to defend his crown this time around, and weakened tamely. Probably be the first to rule out in this. 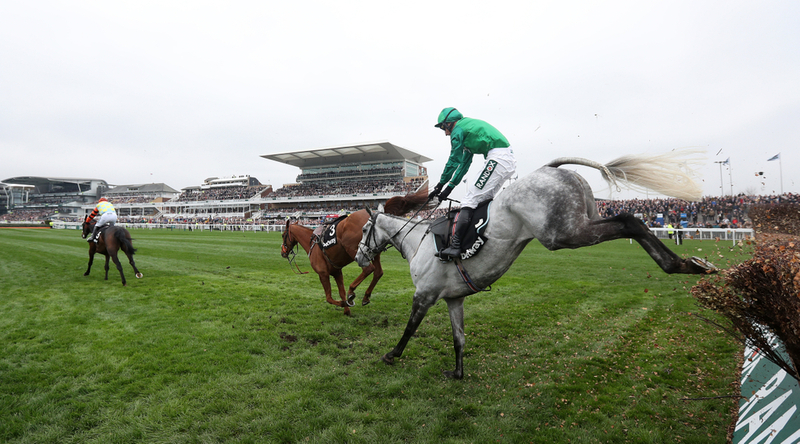 Classy grey finally replicated his best form at Haydock somewhere other than the Liverpool track, when finishing a strong third in the Cheltenham Gold Cup. Was second in this contest to Might Bite last year who has gone the wrong way since. Track dimensions suit, and will definitely be a player to fear. King George winner was not disgraced when finishing a fine fifth in the Gold Cup. Classy field and it is hard to manoeuvre around, and possibly his Cheltenham course form played a part of it in the end. Nevertheless, not all top performers transpire from Prestbury Park - think of La Bague Au Roi, and Clan Des Obeaux, and all-class individual who landed the Denman Chase so impressively, has to go into the thoughts of many in this. Nicholls in stunning form too, having notched up his 3000th jumps winner lately. Surprising to see he is not going for the Randox Health Grand National, given the fact he landed the Welsh equivalent over Christmas at Chepstow. Last two outings have both been at Cheltenham - second to Frodon in the Cotswold Chase and was wearing down the deficit all the way to line. Sixth in the Gold Cup does not look bad on paper for a four-miler, but interesting to see they've stuck at the same distance for the Bowl Chase. Unfortunate to unseat so early on in the Gold Cup, and disappointing not to find out where his form from this season would have seen him finish. Prior to that mishap, he had been kept locked away since his sensational victory in the Savills Chase at Leopardstown over Christmas. Won the Clonmel Oil Chase earlier on in the campaign, and is certainly a horse we still have not seen the best of. Noel Meade chose to sidestep the Gold Cup for his star Road To Respect for a place in the Ryanair instead, where he finished three lengths down on the gallant Frodon. Finished second to Bellshill in the Irish Gold Cup, so a return to three miles is surely a plus, and maybe connections will realise their decisions at the Festival were the wrong ones. Third to Kemboy at Christmas, definite player to be delivered late but will seek a clearer passage than some of his runs this season.